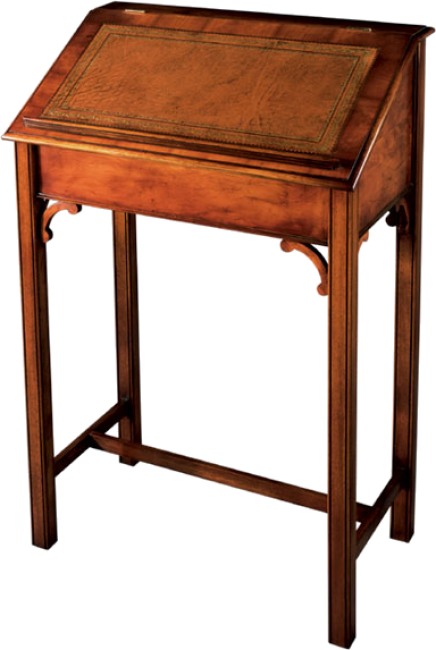 Stand-up desk with wood or leather writing surface. Storage compartment. Fluted square legs and cross support. Pictured in Yewwood.